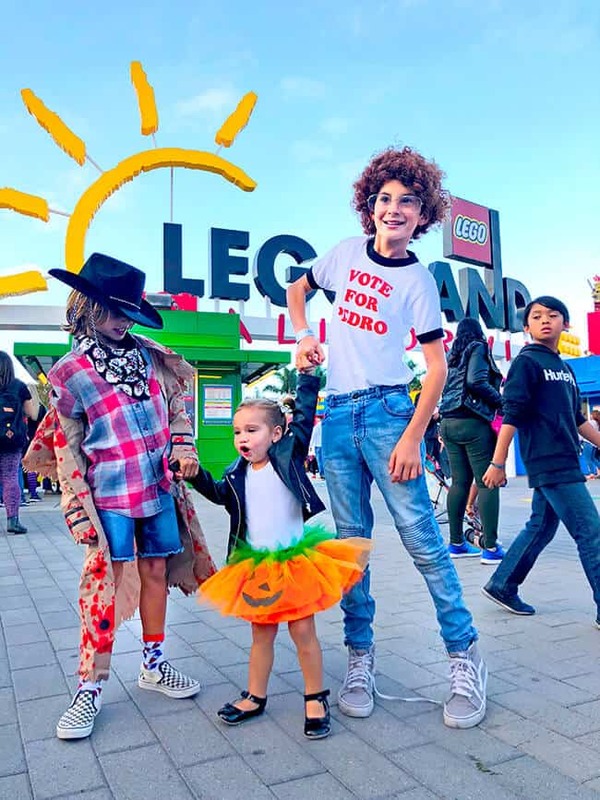 Got a LEGO lover who also loves Halloween? 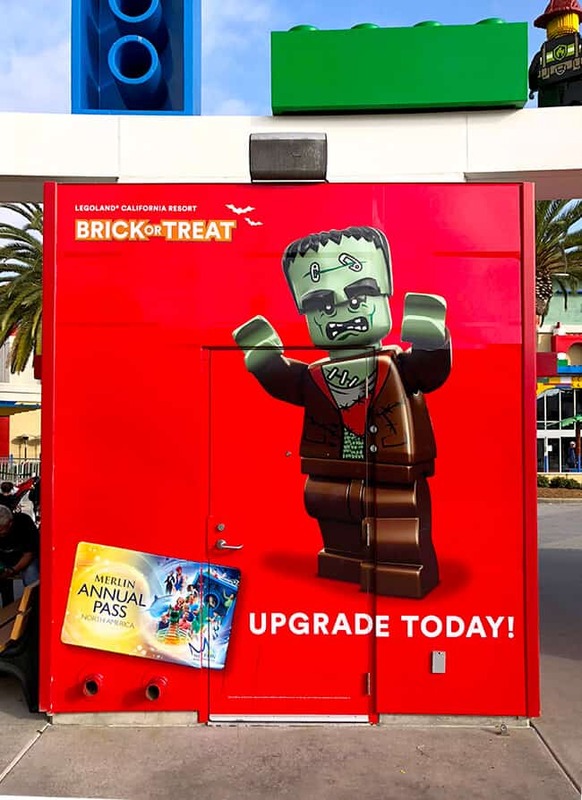 Then Legoland Brick Or Treat is the event for you! We had the chance to check it out this year and it was so much fun for my boys. 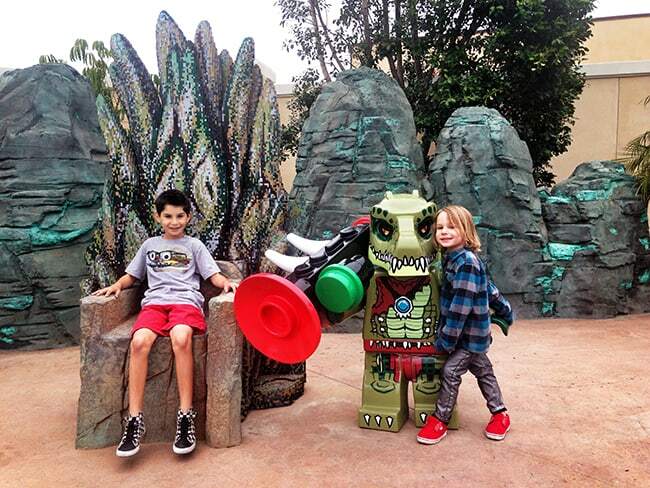 One of their favorite events of the year at Legoland California. 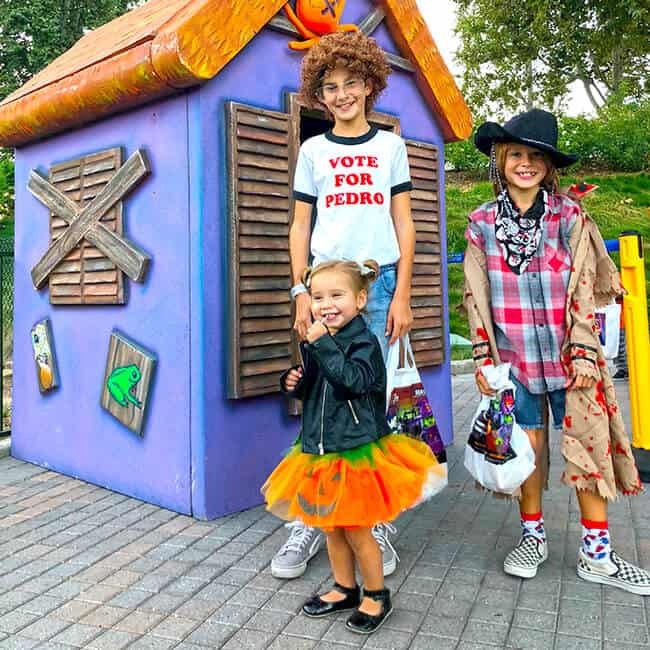 Legoland Brick-or-Treat happens every Saturday during the month of October, and is a separate ticketed event. 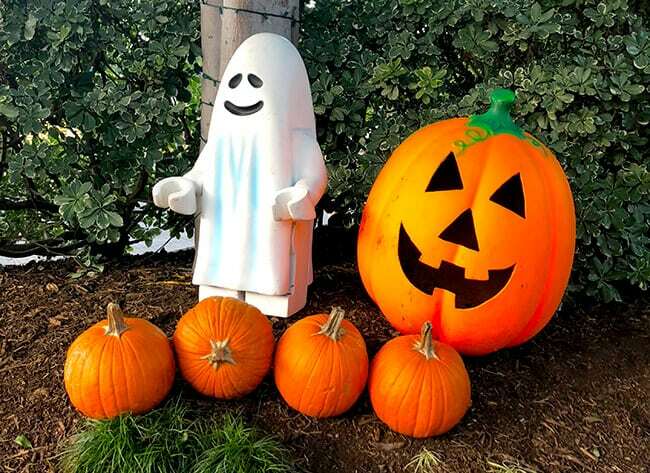 You can either buy a ticket exclusively for Brick-Or-Treat, or include it for an additional fee in your all-day admission ticket. 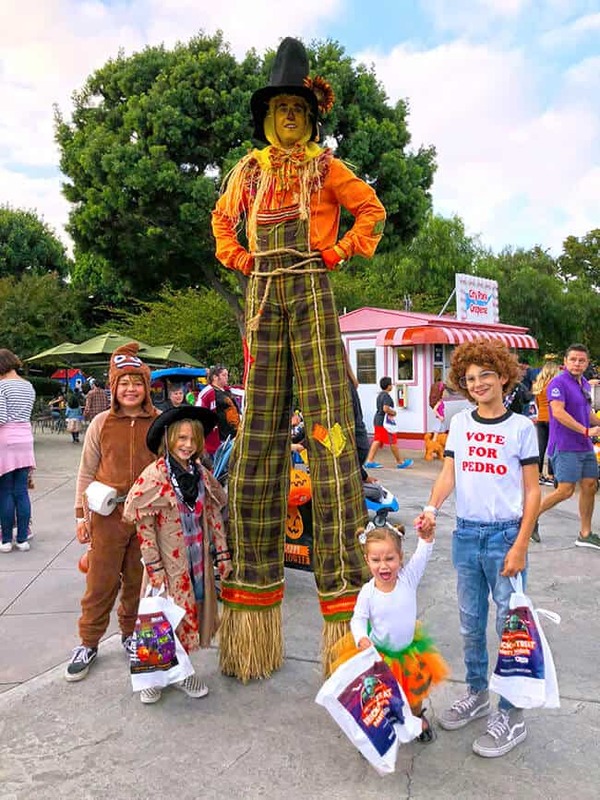 It includes fun Halloween activities throughout the park and Sealife such as trick-or-treating, costume contest, Halloween entertainment, rides, shows and more! 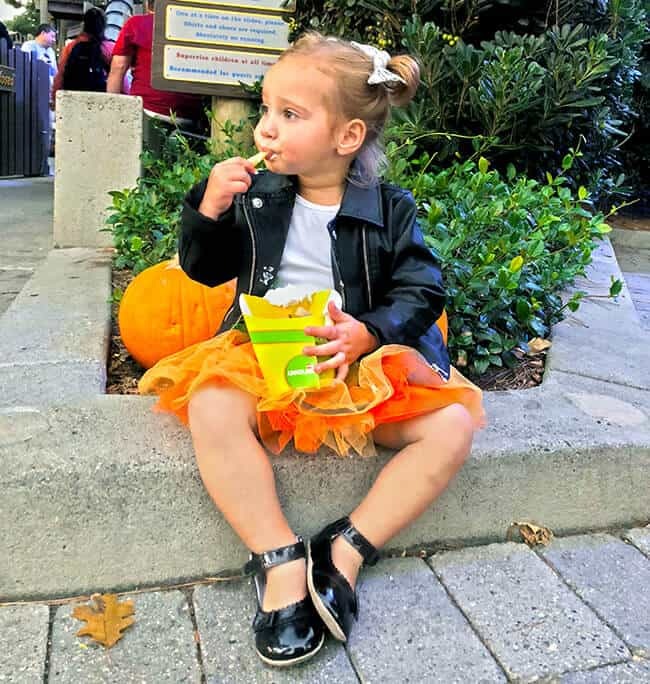 I would highly recommend getting to Brick-Or-Treat as soon as the party begins and wearing costume. This will give you the most time to go trick-or0treating during the event, and also get the best pictures. 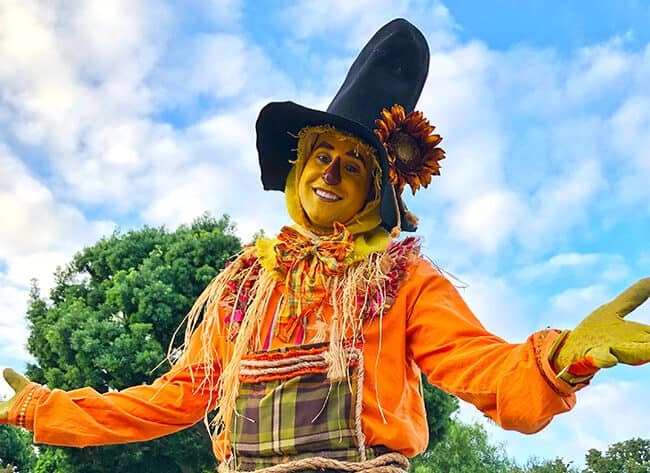 Check out this fun scarecrow we met! 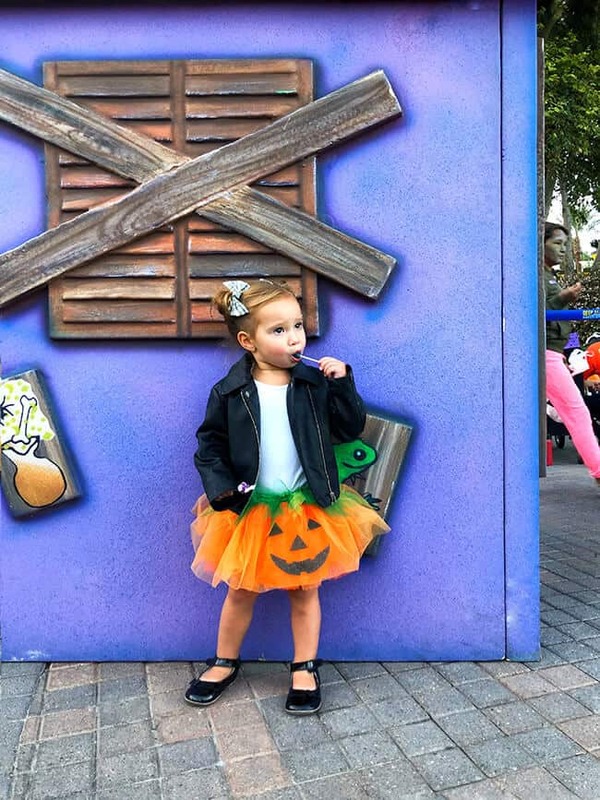 Trick-or treating is the main attraction during Brick-Or-Treat nights. There are lots of stations throughout the park. Some of them have snacks instead of candy, you can also get a souvenir brick and a LEGO magazine. All the candy is allergy friendly, so that is a great thing for those with allergies. 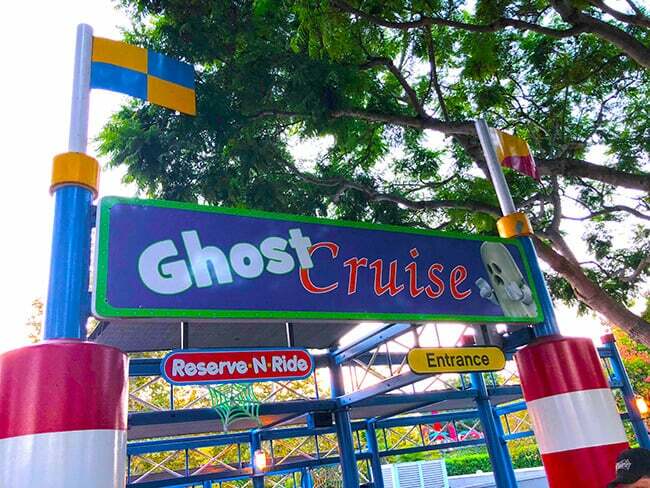 The only Halloween themed ride at Legoland is the Boo Cruise, so your might want to stop at that ride if you have time. 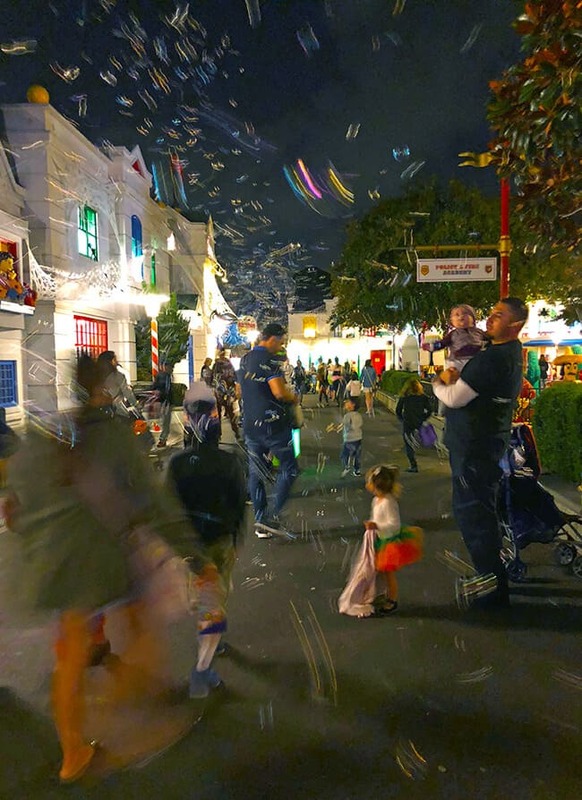 Our favorite thing to do at Brick Or Treat nights is to walk around the park and enjoy the entertainment. 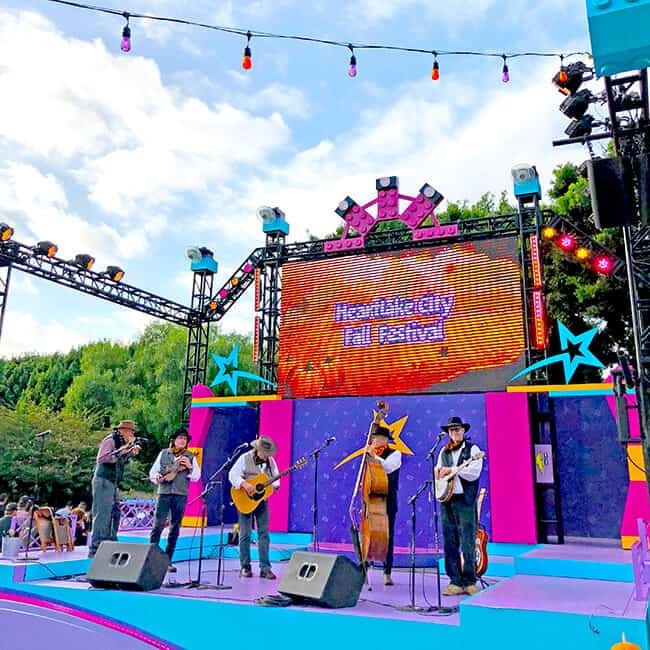 There are musical stations, fun shows and costumed characters that tell jokes and dance with you. Dani really enjoyed all the bubble stations. This year, kids can earn Halloween buttons by solving the riddles and doing tasks. Head over to LEGO City near the Fire Brigade area to earn them. 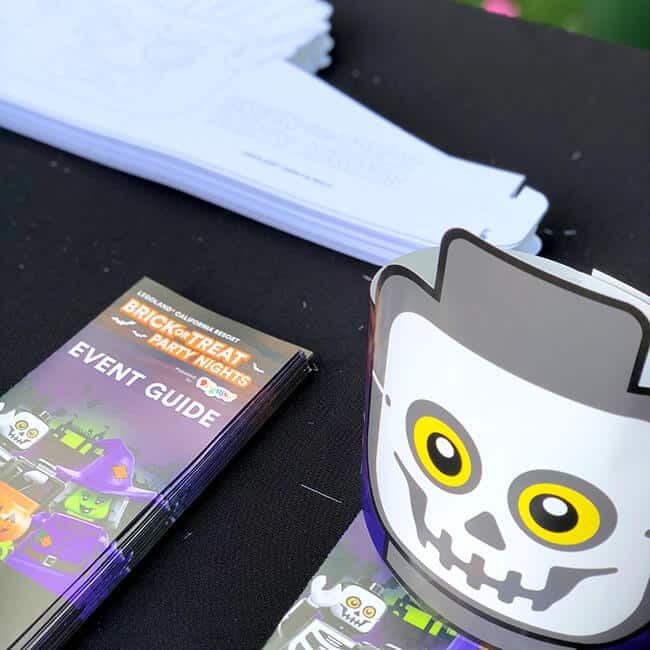 Make sure to solve the clues in your Brick Or Treat guide. You will also find all the happening off the evening in the guide. 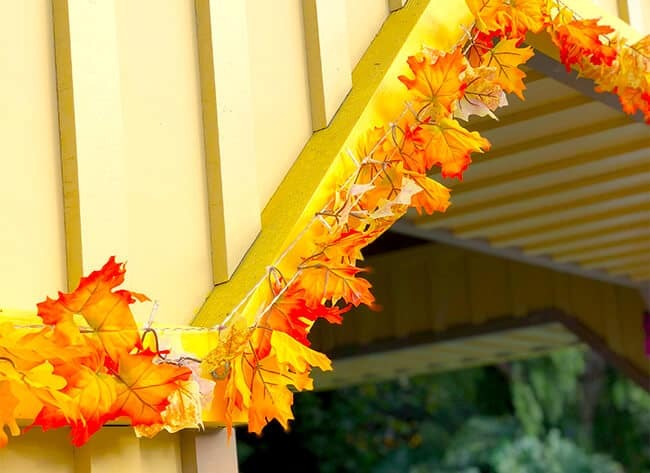 In Heartlake City, you can do Halloween crafts and enjoy the Heartlake City Fall Festival. There are also trick or treat station located in this area. We couldn’t visit Legoland without getting our favorite Legoland treat. The Granny Smith Apple fries with whipped cream are the best! 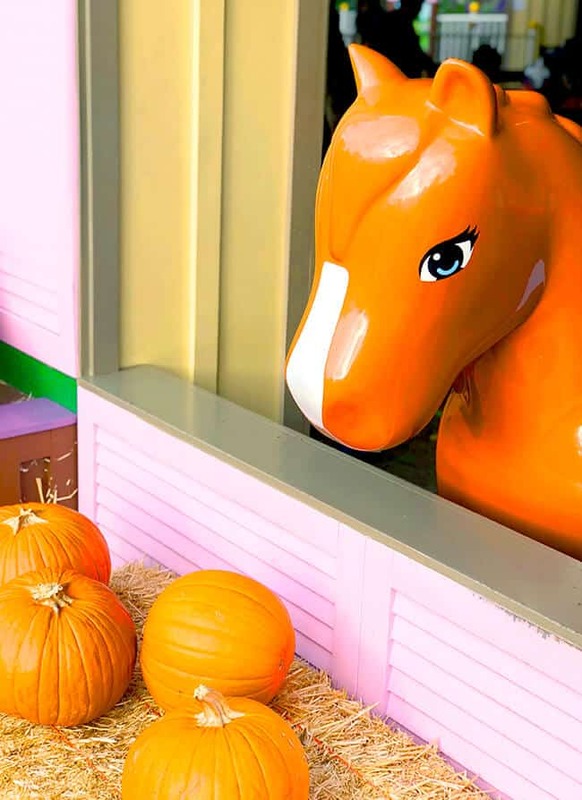 During the fall season, Legoland also offer apple cider and pumpkin crepes. So you might want to check those out as well. Everyone is allowed to wear costumes to Brick Or Treat Nights, and you will find that everyone goes all out. 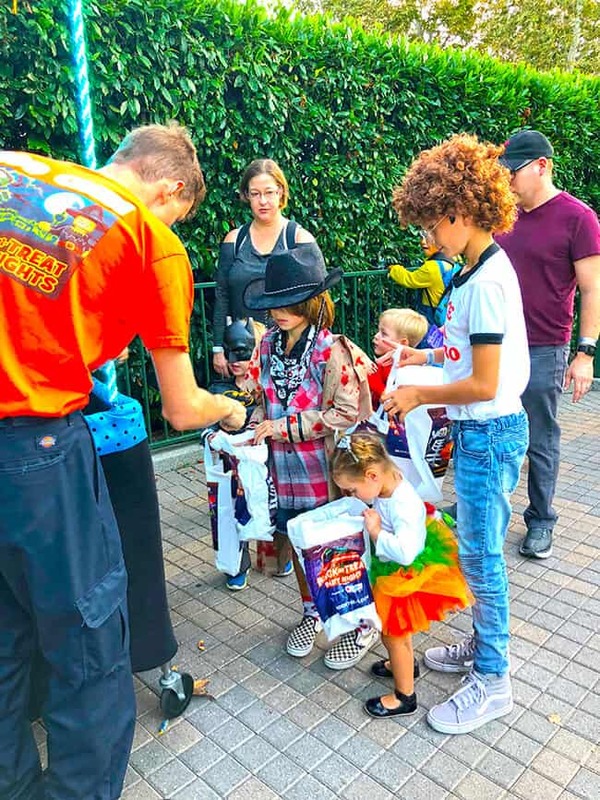 The costume contest is a big attraction for guests, and everyone is welcome to enter. Just make sure to follow the guidelines on the website. We love all the photo opps in the park as well. 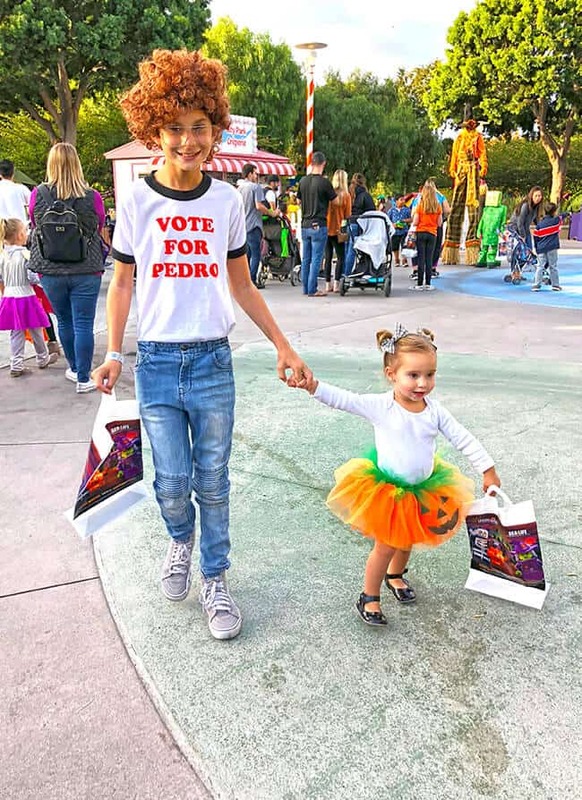 Thanks for the fun time at Brick Or Treat Legoland! we will be back next year. It’s tradition. there is some exciting news about Legoland California, the all new LEGO® Legends of Chima Water Park is opening this weekend! we were able to preview it yesterday, and it is a blast. 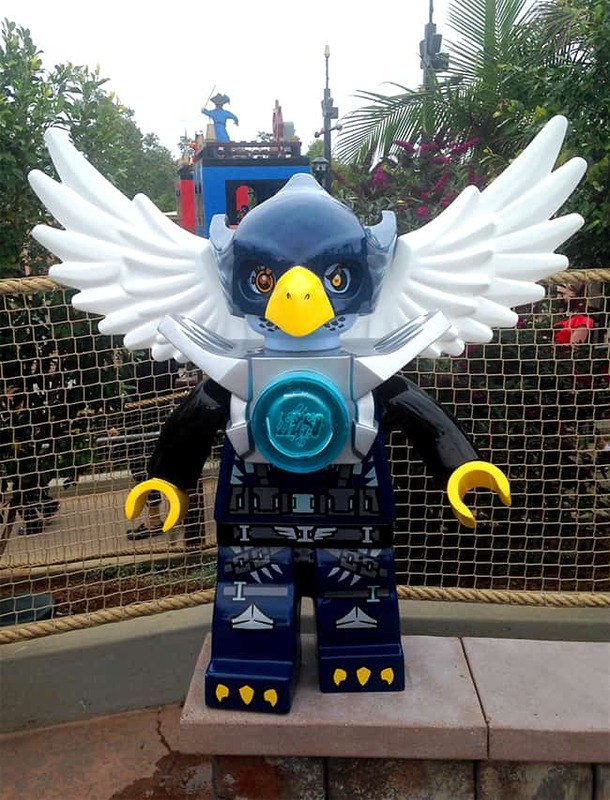 the Legends of Chima Water Park is based on the LEGO’s newest hit product “Legends of Chima,” where animal tribes battle in a mystical land for control of the precious energy source called “CHI”. an animal from each of the eight animal tribes is represented at the water park. the addition of this Legends of Chima section has doubled the size of Legoland’s Water Park area. 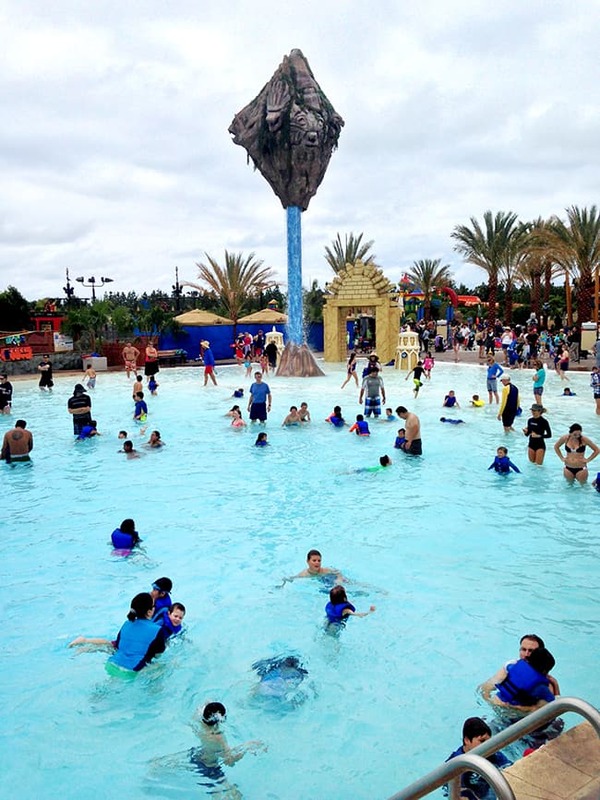 Lion Temple Wave Pool is the centerpiece of the new water park. it is the biggest addition to the park. the giant lion head archway leads into an interactive wave pool designed for families with young children. it is beautiful, and the wave are gentle. the other main section of the Legends of Chima Water Park is Cragger’s Swamp. 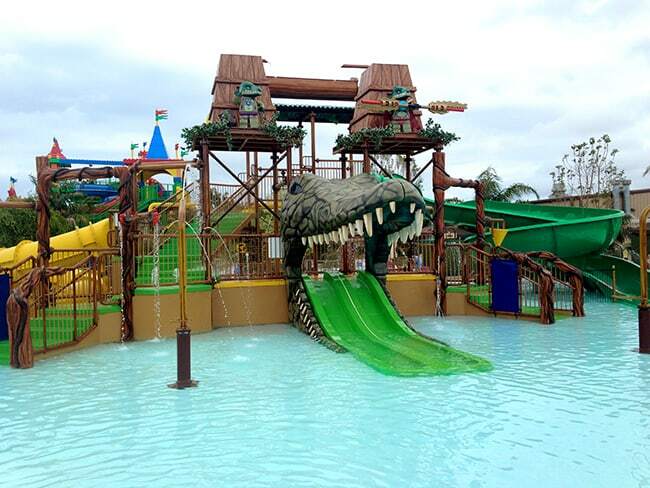 it’s a hands-on water play area small water slides, water cannons and a giant crocodile. 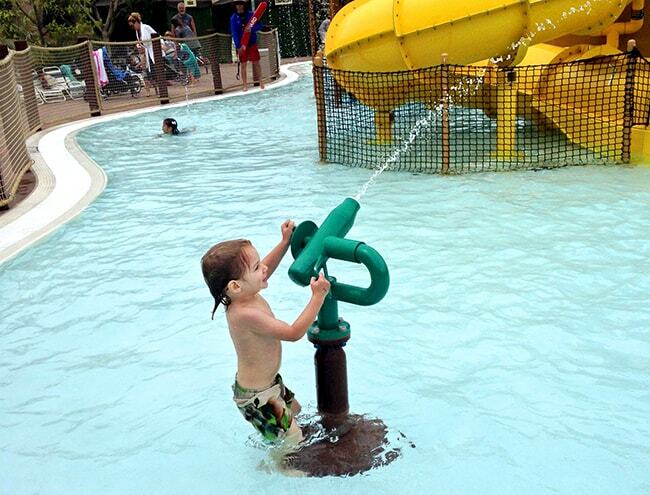 the water that surrounds the play structure is one foot deep, and perfect for small children to play. 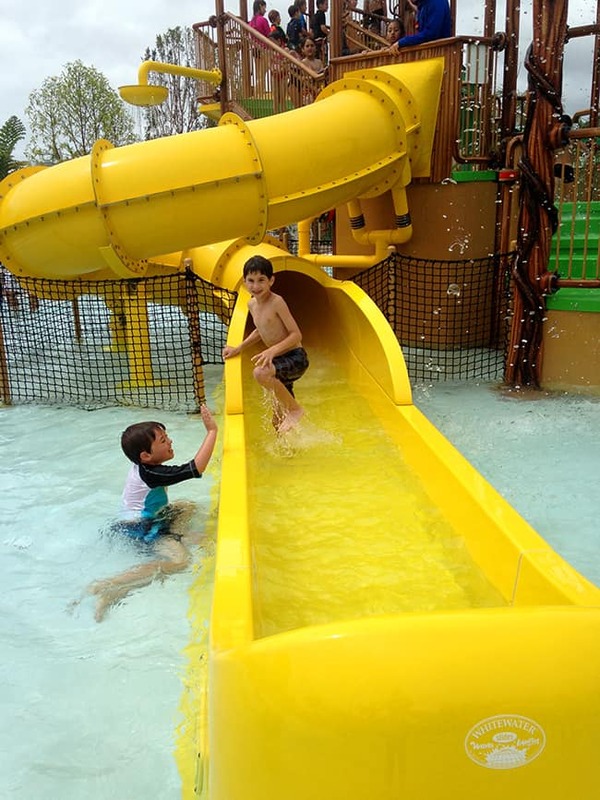 one of my boy’s most favorite areas of the water park was Eglor’s Build-A-Boat, a unique interactive play area where kids can build their own boat and race against their friends and also build their own LEGO scene in Chima on one of the four base plates set in front of model scenes. they could have played here all day. other features of the Legends of Chima Water Park include the Explorers Forest, a lush and tropical forest where you will be greeted by Gorzan the Gorilla in his 15-foot tall mech suit, Rhino Beach, a sand filled oasis that offers you a place to get some shade, lounge and rest, Speedorz Arena, where you ca race your Speedorz through unique obstacles, and Forever Rock, where kids can tally their achievements just as Cragger and Laval did. 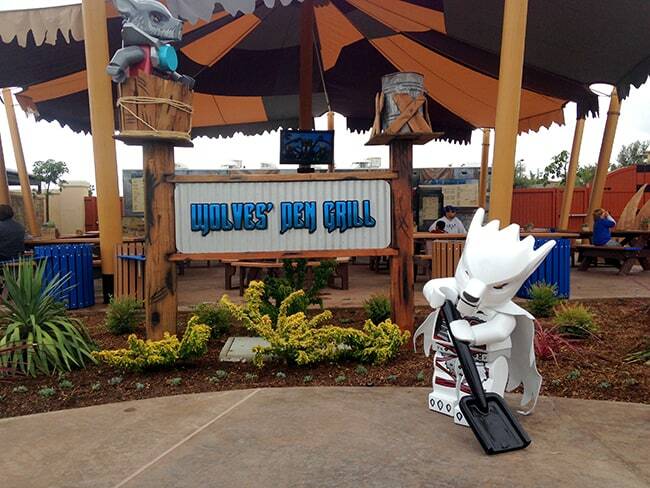 when you get hungry, you can grab food at Wolves’ Den, it’s located within the Chima Water Park area. 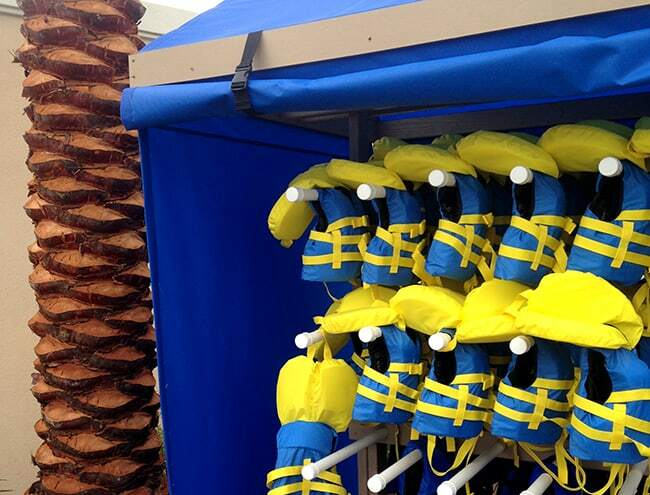 and if your child needs a life jacket, there are plenty available for your use. there are fun Chima details around every corner of the new water park. 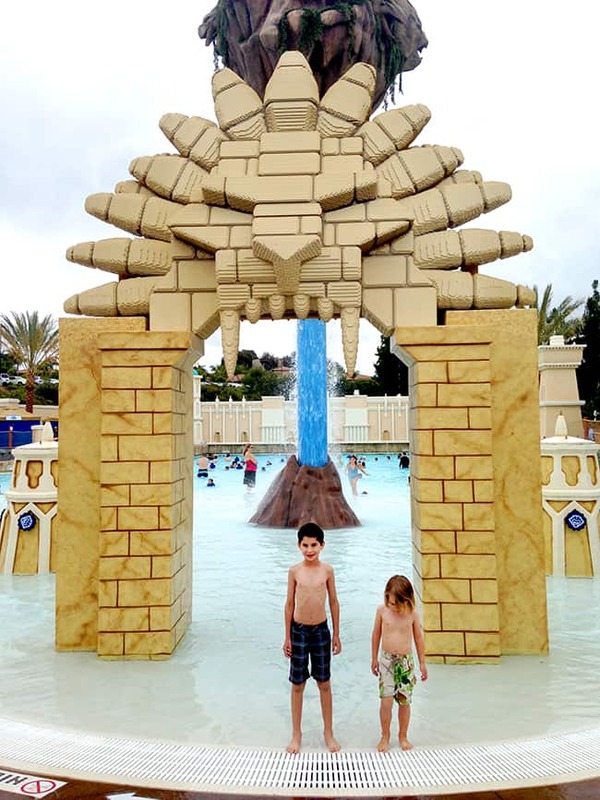 Legoland did a fabulous job creating this water oasis. 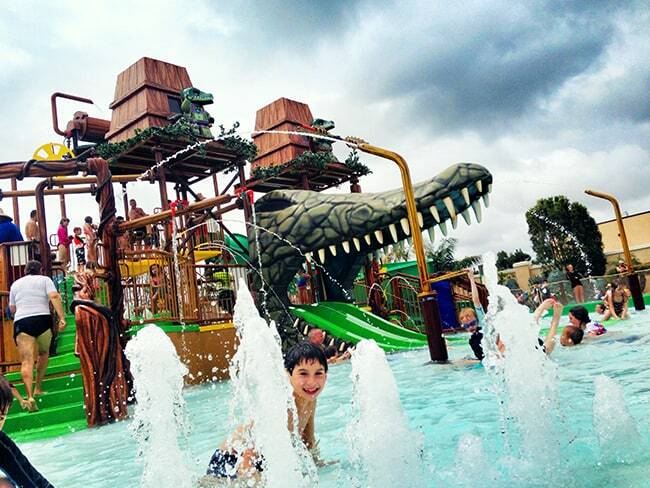 it’s a perfect place for families to enjoy water play and the the summer sun. 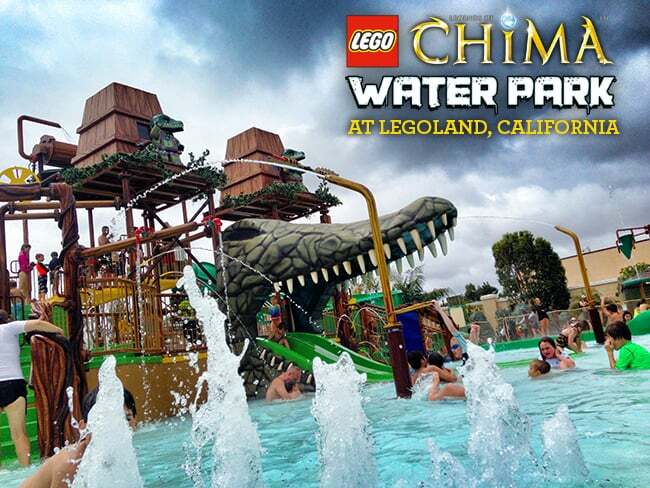 the LEGO Legends of Chima Water Park is included in the cost of admission to the LEGOLAND Park when you purchase the Water Park package. there is not a separate water park only entrance. 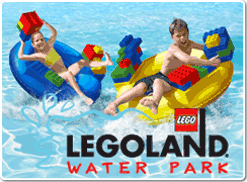 i would say that the Legoland Water Park is great for kids 12 and under. the water slides are built for child size fun, not thrill seekers, and the LEGO details are just fabulous. i also like how the Water Park is contained and you don’t have to be constantly worried that your child has wondered off. 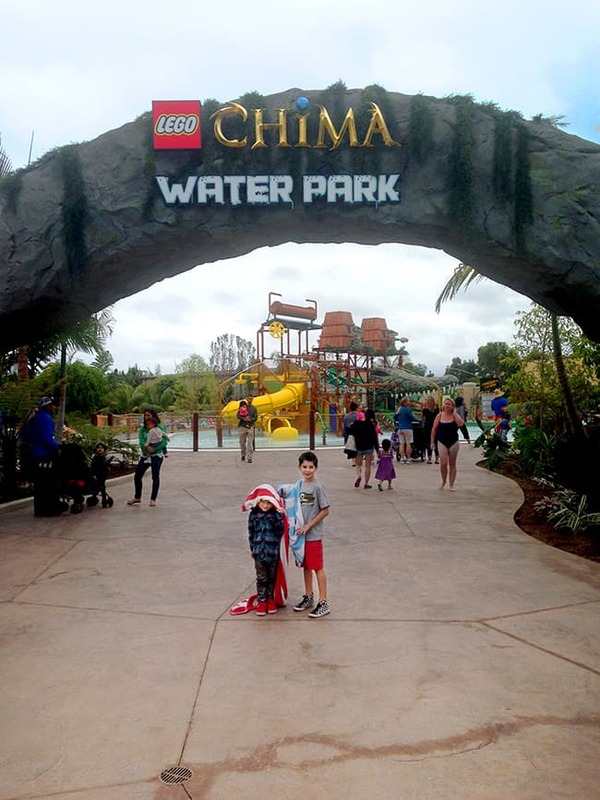 we had such a great time at the Legends of Chima Water Park, you will definitely see us back there this summer. 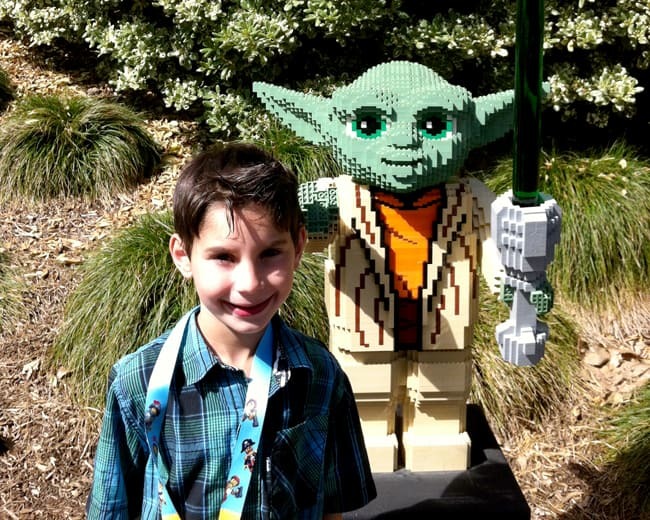 Star Wars Days at Legoland are our FAVE! there is no question that we love Star Wars AND Legos over here. with a house full of boys, there’s no getting around it. and when my boys heard that there was a full scale X-Wing Fighter built of Legos coming to Legoland in Carlsbad, they about flipped out. 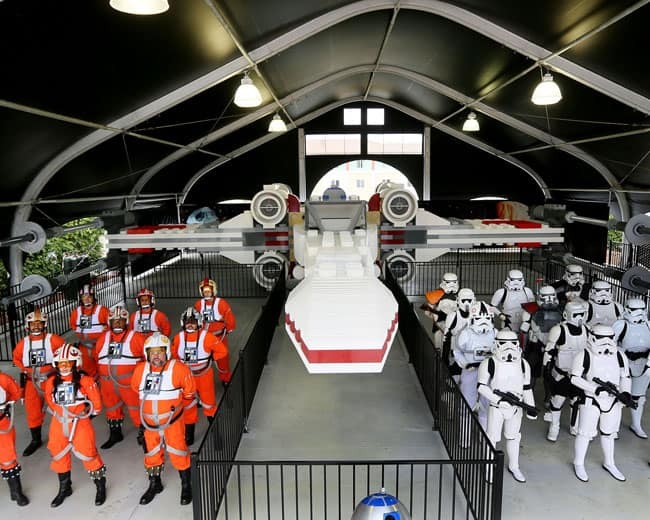 yes…a 1:1 scale, over 5 million piece Lego Set has been built, replicating a Star Wars X-Wing Fighter. You can read a little more about it here. 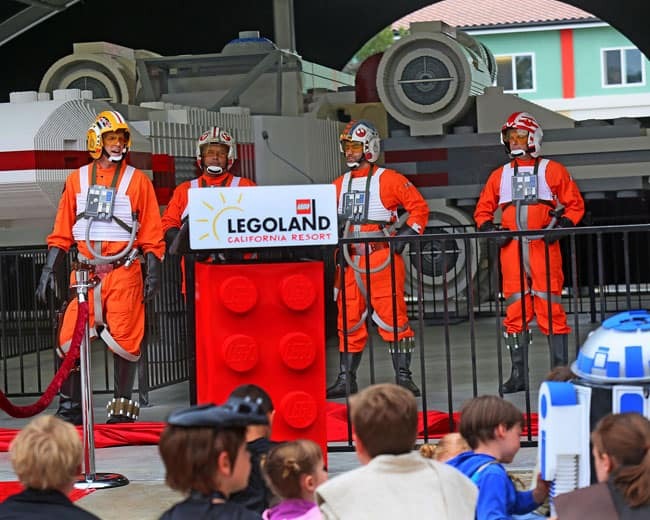 this weekend, June 15-16, 2013, Legoland is having it’s annual LEGO® Star Wars Days…perfect for Father’s Day. 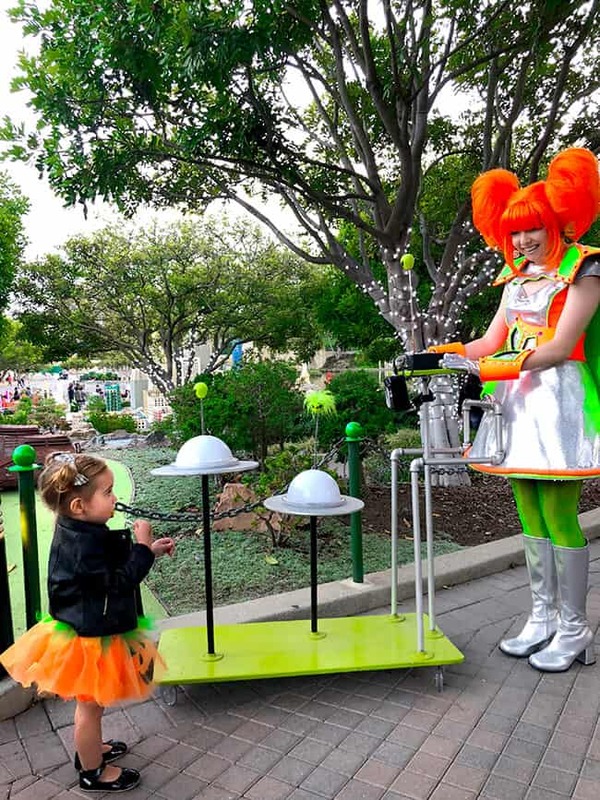 guests can dress up as their favorite Star Wars character, have a meet and greet with Darth Vader, the 501st and Rebel Legion, search for mini Yodas in Miniland and participate in a variety of Star Wars adventures. Star Wars Miniland is no doubt my boy’s favorite place to be in Legoland. every time we go, we spend a long time enjoying the Star Wars models and miniature lands built of LEGOs. it really is amazing. 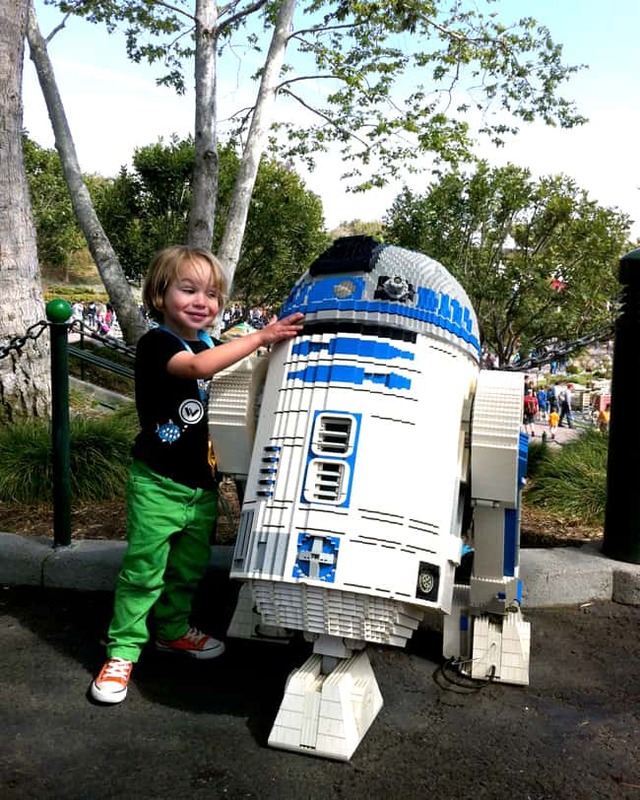 check out this life-sized LEGO R2 D2. my littlest was in love. 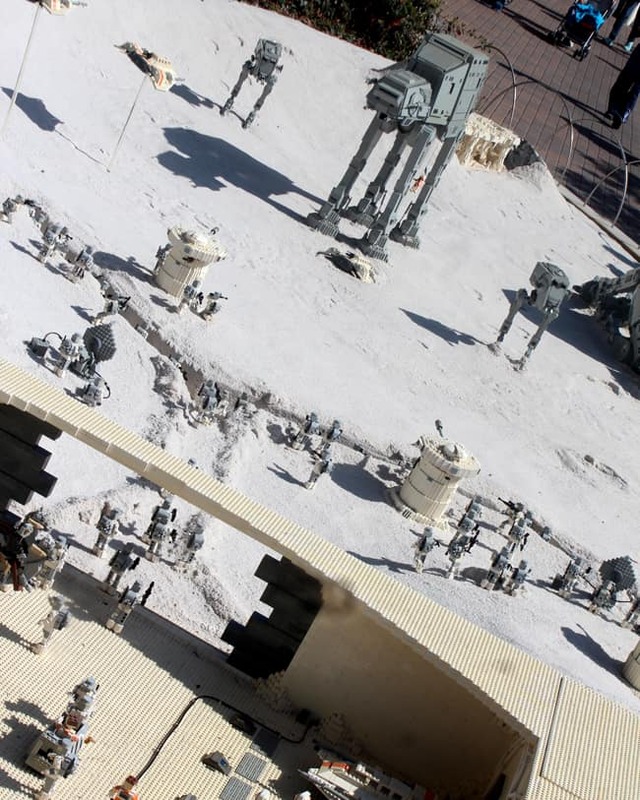 many models of our favorite Star Wars Heroes line the paths at Star Wars Miniland. my boys spend a lot of their time checking out the different scenes of the favorite Star Wars movies replicated in LEGOs. 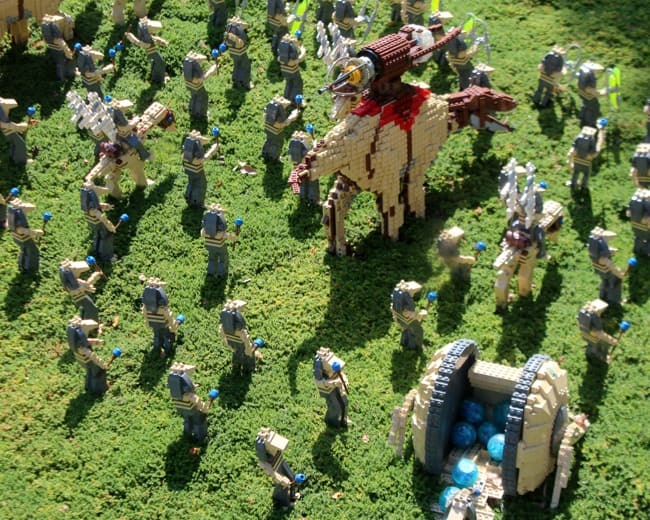 i love how the LEGO Brickmasters have brought in natural elements to bring each scene to life. i’m no expert on Star Wars, so i can’t exactly tell you what Episodes these Star Wars scenes are from, but any of my boys could tell you in a heart beat. 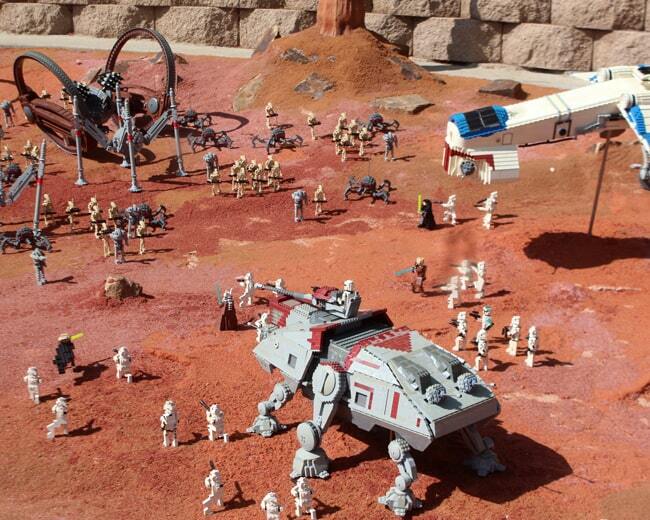 if your kiddies love Star Wars, they would absolutely love Star Wars Miniland. and beginning this weekend, the life-sized X-Wing Fighter will be on display until December 31st. i have got to get my boys back to see this. weighing in at more than 45,000 pounds, it is the world’s largest LEGO model. this 1:1 replica X-wing model is 11 feet tall, stretches 43 feet long and has a wingspan of 44 feet. 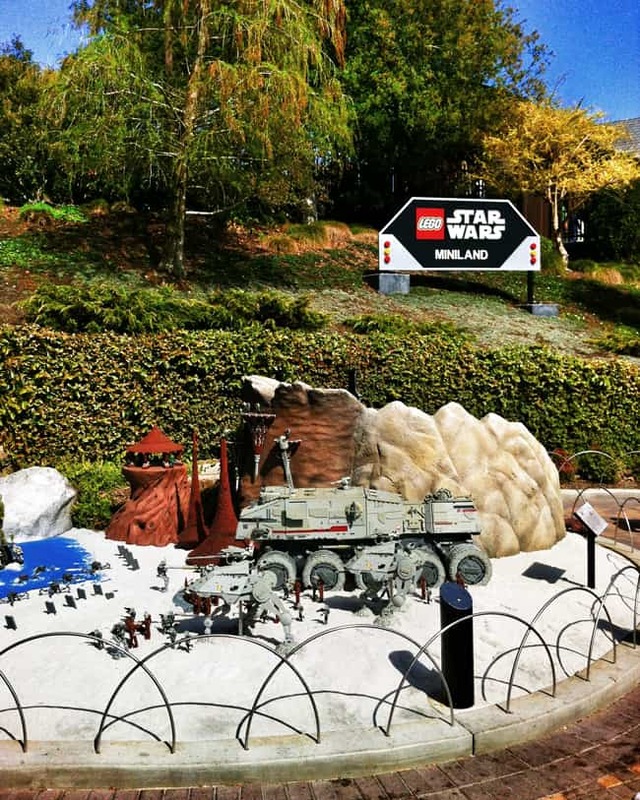 going to Legoland to check it out is definitely on our summer to-do list. Legoland is my kids happy place. if you haven’t been…try to get your kiddies their. you won’t be disappointed. 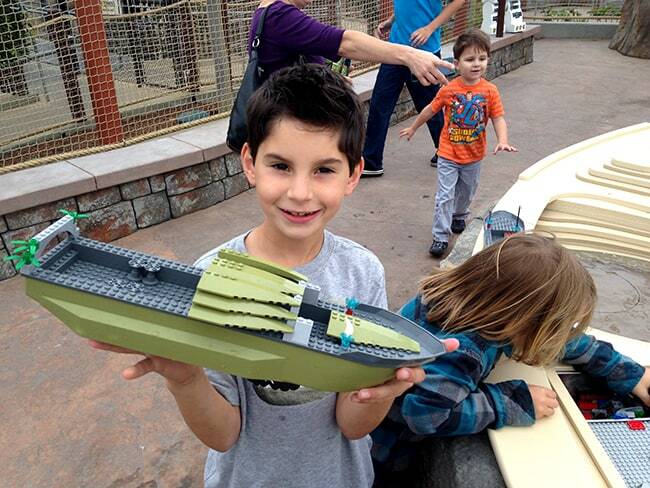 What part of Legoland is your kiddies favorite? 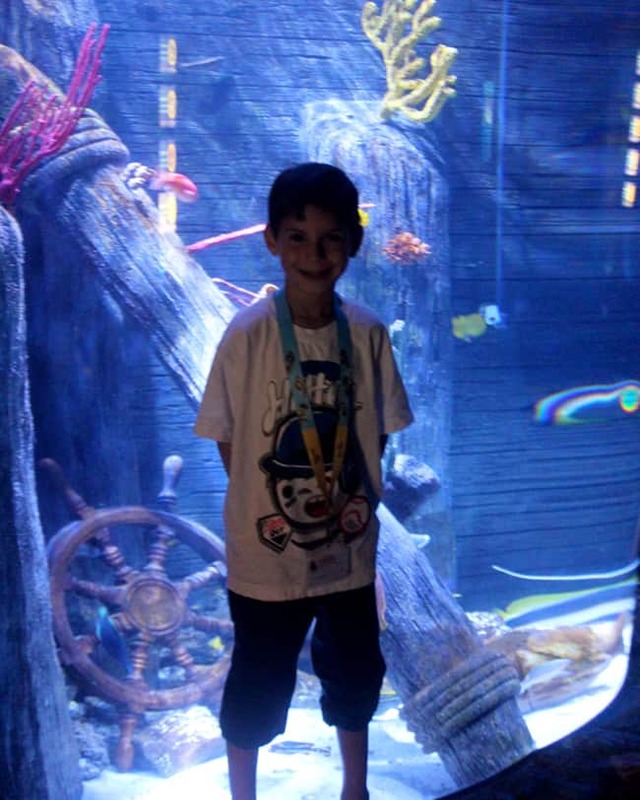 one of our favorite things to do at Legoland is go to SEA LIFE Aquarium halfway through the day. there is something serene and magical about the swimming fish a glow of the blue water at an aquarium. and we find that it is the perfect cool down spot to recharge during an adventurous day at Legoland. 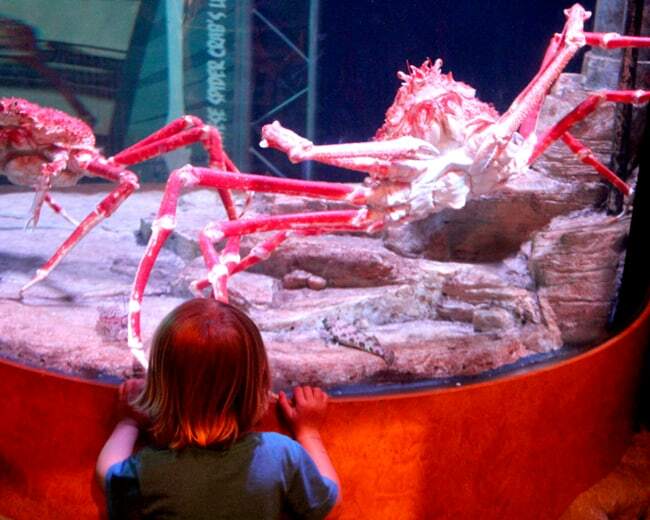 SEA LIFE Aquarium has lots of amazing species of sea life…like these giant crabs. they are amazing ginormous. and nestled amongst the waters and fishes are LEGO creations. very cool. my children are always in awe. 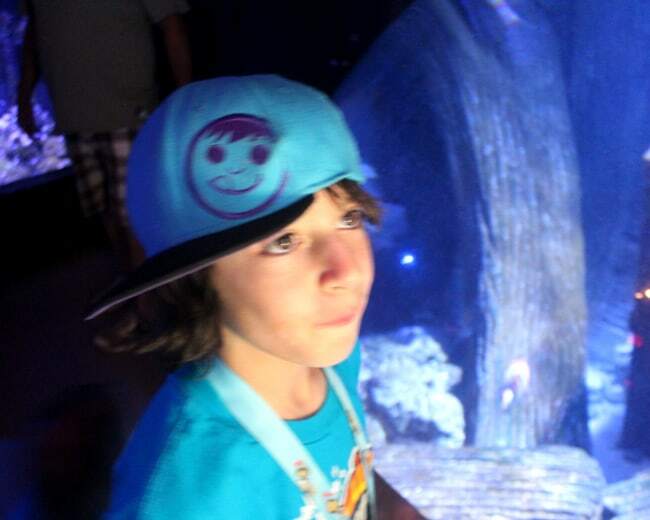 SEA LIFE Aquarium is a separate admission price than Legoland. 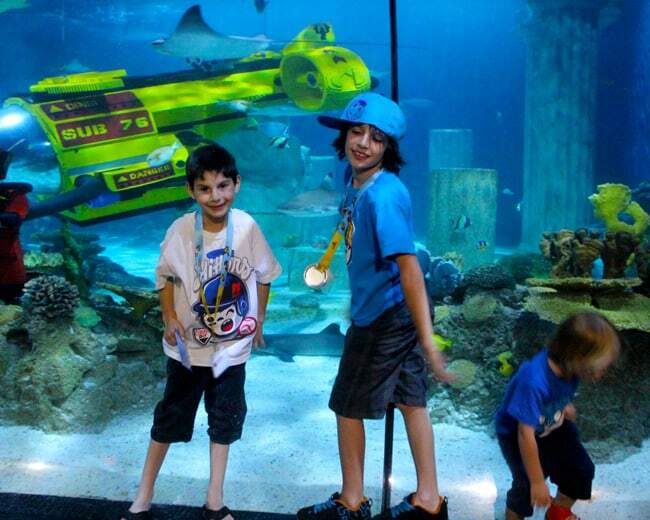 You can go into the aquarium with a Legoland Hopper Pass, or just purchase a ticket to only go into the Aquarium. 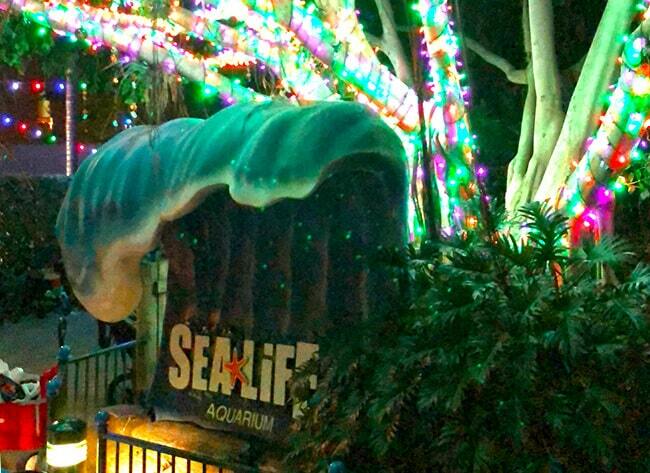 BUT here is your chance to go into for SEA LIFE Aquarium free. SEA LIFE Aquarium is holding a beach clean-up on June 8th in honor of World’s Ocean Day. each person who participates will receive a ticket to the Aquarium. i think this is the perfect way to teach children to take care of their environment and also to enjoy a day of family fun. go to the SEA LIFE facebook page to find more about the Beach Clean-up. do it! Legoland has to be my kiddies all-time favorite places to go. we try to go every year. the rides and shows are geared to their ages. 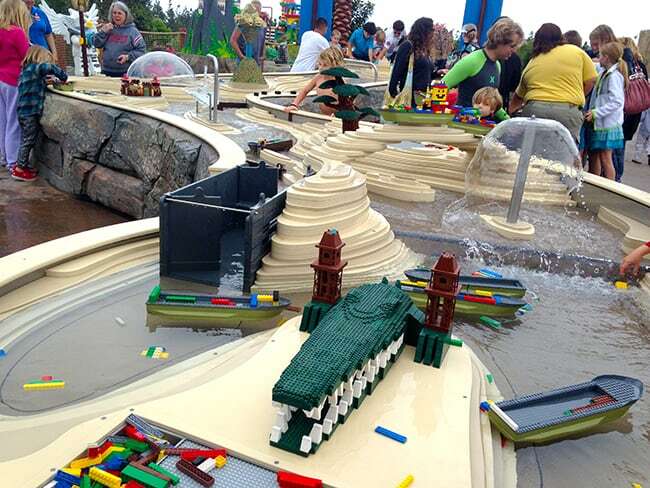 there is Dino Island, Duplo® Village, Fun Town, Pirate Shores, Castle Hill, Imagination Zone, Miniland USA and the new LEGO Clutch Powers 4D show. if you want to drive a boat, a train, a car, a jeep, a horse or a plane, you can! you can even get your very own kiddie drivers license. all things kids love. 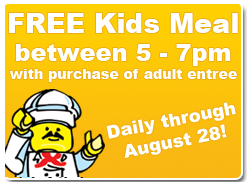 there are also many good places to eat at Legoland, and during the summer, 5 restaurants are offering “kid’s eat free” with the purchase of an adult meal between the hours or 5 -7pm. and be sure to get your Granny’s Apple Fries. they are yummy! 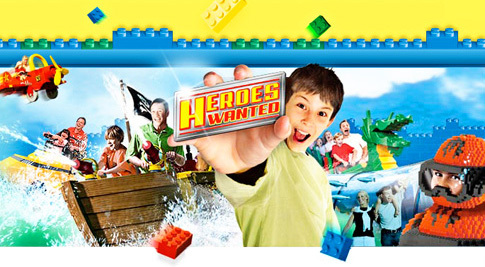 if you want to check out all the Legoland had to offer, go check out their website. they just opened their new Water Park and the Sea Life Aquarium is right next door. i am definitely going to chaeck out the Water Park this year. so, to enter the giveaway, simply leave a comment below. you can leave a comment everyday. the contest ends tuesday, july 6th 2010 at midnight. 6) “add a button” check out sandy toes and popsicle’s new button on the sidebar and add it to your blog! leave an additional comment for any of these. if you are already a subscriber or follower just say so in a comment….that can be 11 entries. good luck!!!!! !